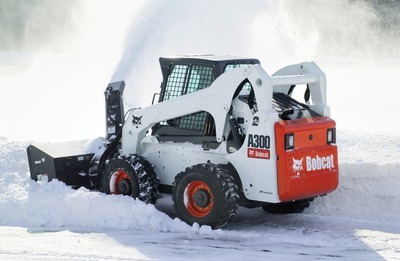 The wide variety of snow plowing and snow removal equipment on hand has proven us capable of handling Boston area snow removal during the worst of winter storms. In the Boston area for commercial snow plowing, we have found a variety of equipment that works well to do an efficient and reliable service. 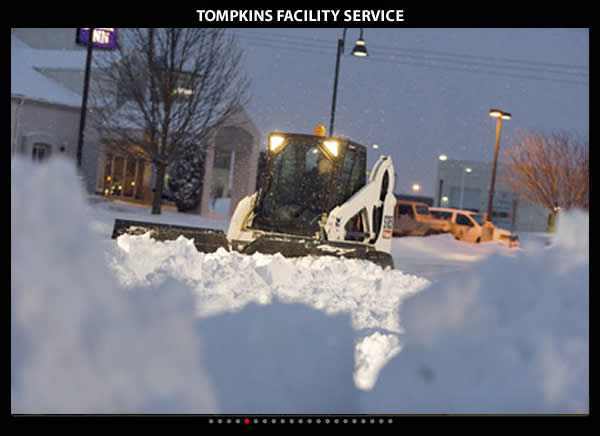 From tractors with 70-inch snow blowers, to sweeper brooms, to standard walk behind snow blowers, we have the equipment and staff to handle your walkway clearing needs. Safety is our number one priority when it comes to walkways and parking lot areas. Extra attention must be given to walkways when ice and snow has accumulated; just think about pedestrian traffic and the possibility that people can slip and fall. We have the manpower, equipment and resources to handle your snow removal needs for your parking lot and walkways in around the Boston area. Also in recent years, cities and towns in the Boston area have made it a point to have property owners shovel their sidewalks in and around their property. Owners who fail to shovel their sidewalks will often times be fined. This prompted us to heavily invest in snow removal equipment for sidewalk areas in the Boston area. 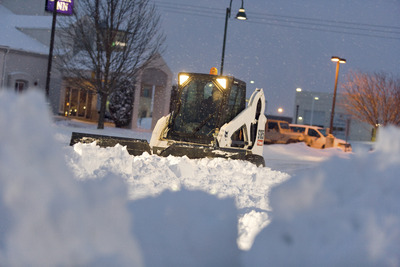 Commercial snow removal for walkways has been a rapidly growing part of our business for many years now. Our investment in commercial grade snow blowers and small loaders that will fit safely on city sidewalks, will also quickly and efficiently clean and clear your city sidewalk areas. We will also treat frozen and slippery areas with a variety of ice melt product that we have on hand. We also carry a large selection of bagged ice melt products that we can sell to customers, ensuring that when necessary, they will have our proven own ice melt products for ongoing maintenace of slippery surfaces and sidewalk or walkway areas.